Fluoro Diving, never heard of it! 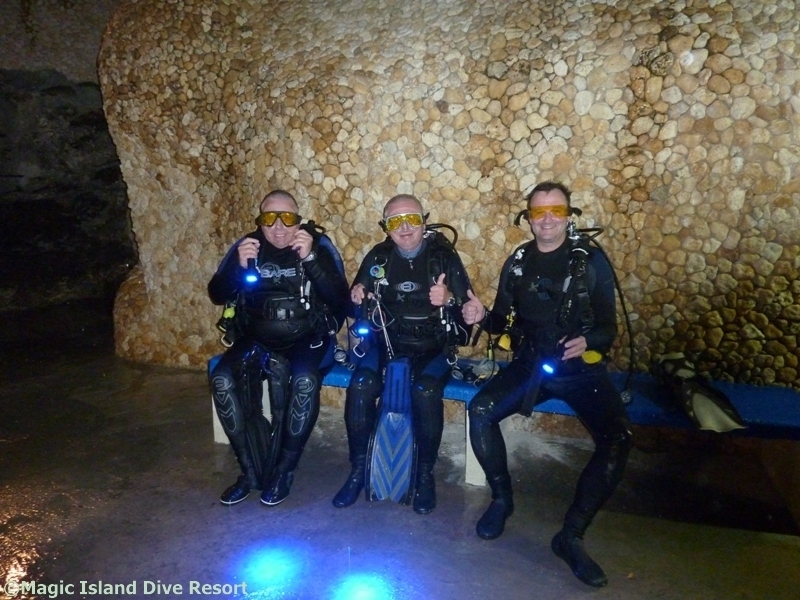 Before your first dive Fluoro dive you will get an extensive briefing with a presentation. During the presentation we will give you some background information about “what is happening”, “why is it happening” and “where is it happening”. Also, we provide information for the settings of your camera, but we strongly advise to not take the camera during the first dive. During the first dive you will mainly notice all the corals. Those are so overwhelming that you will hardly notice any other life. On the right are pictures of corals during the daytime and during a Fluoro dive. Hugh difference! When you continue to make other blue light dives you will discover more and more, animals such as moray eels, lizard fish, but also the tube anemones, shrimps and hermit crabs are fantastic. Slowly our list of fluorescent corals and animals is growing. A few dives ago we found a harlequin ghost pipe fish, beautiful, but also an octopus turns out to be spectacular sight. This is how you will look with the Fluoro Dive equipment. Hard coral, left with daylight, right with a blue light. A moray eel with hard coral, left the animal during the day, right during a Fluoro night dive. A great combination, the shell and the crab both have fluorescent abilities.